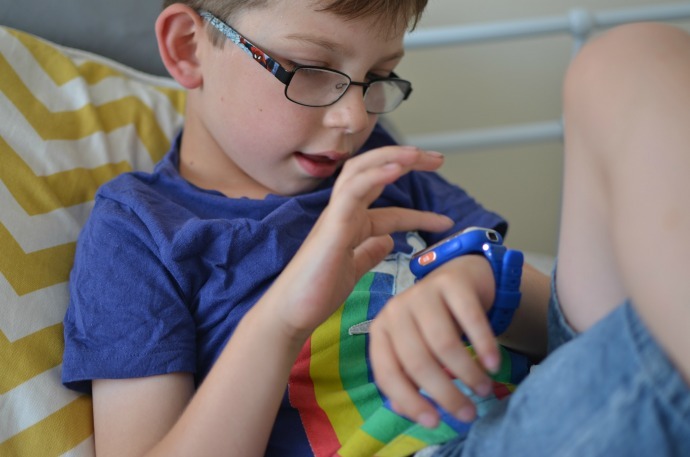 Dylan's favourite birthday present this year was his VTech Kidizoom smart watch DX2. VTech sent it to us to try out just before he turned 7 and so I wrapped it up for him to open on the day and he was so excited! This is Dylan's first watch and it is so much more than that. After playing around with the home screen / watch interface that has more than 50 different styles, we started looking more at what the smart watch can do. There are two cameras, one pointing out the top and then a selfie cam on the front and the watch is now full of various photos of the boys. You can take a normal photo or you can add frames or funny faces too. It also takes videos and you can record sound for up to 60 seconds in one go. Dylan has never had his own camera or anything similar yet so he is loving this feature. 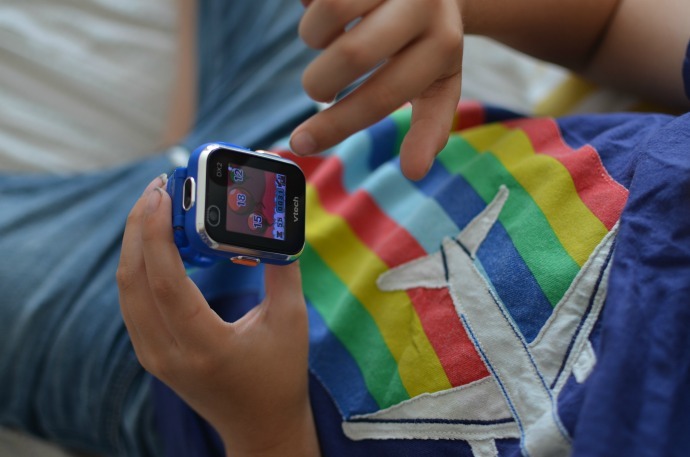 The watch also comes with three games that are really easy to play and suitable from about age 4 upwards (the same age suggestion for the watch). They make for a great little activity for when you are waiting or have a few minutes to kill or if he needs some chill out time. There is a built in pedometer which uses the motion sensor although it is the action challenge that really gets Dylan moving. It gives him a steps challenge and when he achieves it he gets another one. He was playing on the way down to the beach recently and ended up running in circles down at the beach desperate to get to the next target! As well as all this there is a stopwatch, calender, calculator and timer as well as the ability to link it to a computer and download other games. 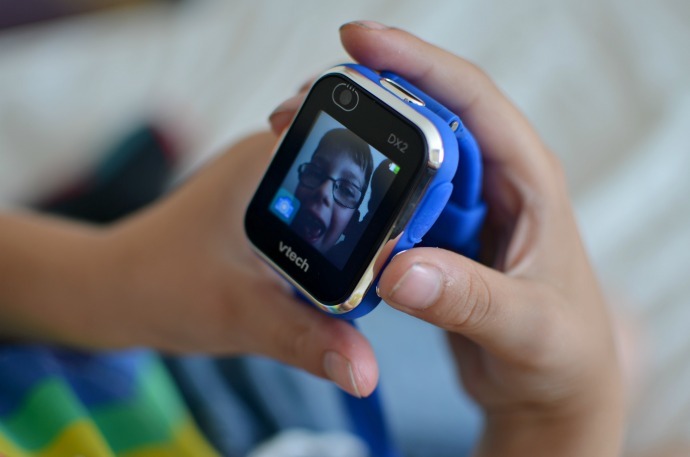 The watch is brilliant fun and great at helping children learn to tell the time. Dylan is seven and a great age for this although a couple of years younger and a little older would be good too. The battery life is about one day if it is your new watch and you can't leave it alone and 2 weeks if you are just using it for telling the time, somewhere in the middle for everything else. It charges through a USB wire into a computer or plug socket. 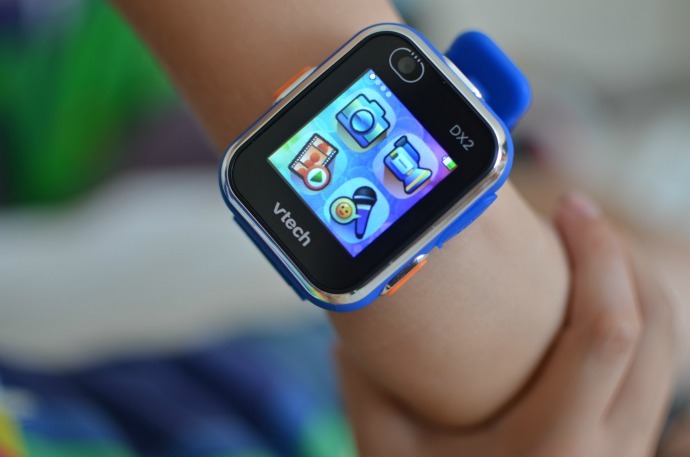 You can find out more about the Vtech kidizoom smart watch DX2 on the Vtech website. Dylan gives it a big thumbs up (when he stops playing on it) and I am really impressed too. This looks awesome. I am still amazed at how tech has evolved. My kids had DS to keep them occupied. I love that it is educational and functional too. Great post.